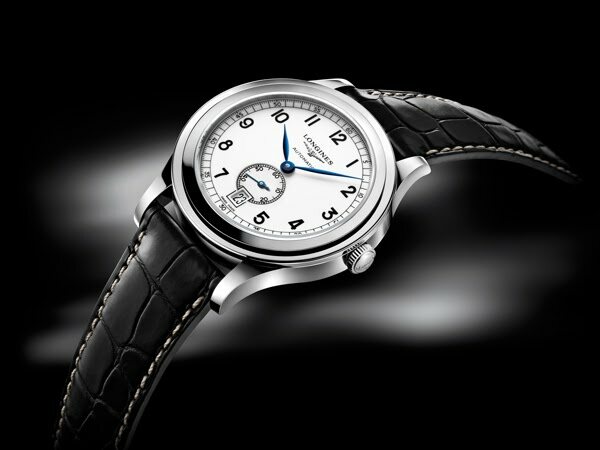 To mark its 180th anniversary, Longines is launching various new models throughout the year... watch this space! Founded in 1832 in the town of Saint-Imier, the famous Swiss watchmaker has a long tradition marked by the continual elegance of its products. Longines Heritage 1940 and Longines Heritage 1942 both symbolise the brand’s rich history and are thus perfect products for celebrating this anniversary and extending Longines’ Heritage segment. The distinctive shape of the watch case lends these models a striking look. Boasting a contemporary spirit, this watch is based on a model dating from 1940. It keeps indeed its central lines, such as the high bezel that gives it a strong character and reminds the Longines’ models of that time. Longines Heritage 1940 immediately catches the eye through its sleek lines and shaped contours. The circular steel case with a diameter of 38.50 mm houses a self-winding, mechanical movement, the calibre L615. The lacquered dial is available in white or black and features a railway-track minute ring and 11 Arab numerals. The hands are of blued steel in the white-dial version and rhodium-plated in the black version. And finally, the small seconds and date aperture at 6 o’clock complete the image of Longines Heritage 1940, which is mounted on a black alligator strap. Longines Heritage 1942 has been directly inspired by a model dating from 1942 which was fitted with calibre 13ZN. This new timepiece has a circular steel case with a diameter of 40 mm which houses calibre L688, a column-wheel chronograph movement designed exclusively for Longines. The round push-pieces blend perfectly into the distinctive shape of the case and remind the Longines’ chronographs of that period, which are exceptional and much sought after models. The lacquered dial, available in white or black, features 9 Arab numerals to contrast with the dial and a railway-track minute ring as well as a tachometric scale around the rim of the dial. Finally blued steel hands, for the white-dial version, or rhodium-plated hands, for the black-dial version, harmonise beautifully with the elegance of the dial. 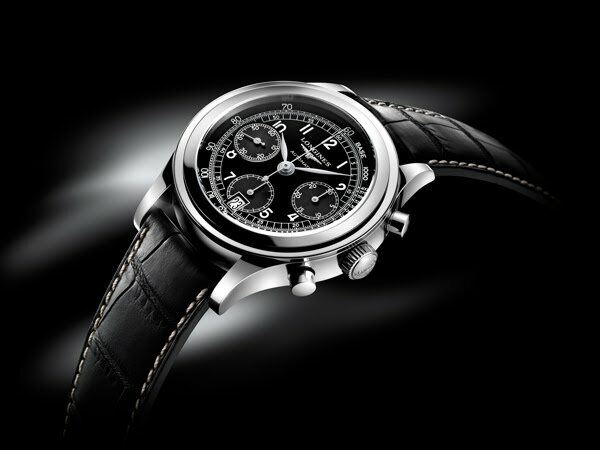 Longines Heritage 1942 is fitted on a black alligator strap.